True Hope and a Future: WORST TRIP EVER ... or was it? "If God calls you to it, He will see you through it." - a nice little platitude often spoken by well-meaning people who have not walked in your shoes. While it is true, that doesn't mean it's going to be easy. Given a choice of one or the other, I'd take the malaria. Since I wasn't given a choice, I experienced them both on our third trip to Kenya. 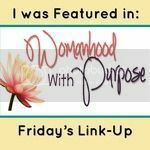 With malaria I felt horrible, but because I was already on anti-malarial medication and was treated as soon as symptoms started, I only had one day that was really bad. It wasn't from the omena either (think minnows.) ONLY for Jesus would I eat minnows!!! In all honesty, they didn't taste all that bad. It was hearing their bones crunching as I chewed them that grossed me out. Thankfully, I've been successful in avoiding omena since that incident. No, the food poisoning came from the airline food! Specifically the food from the flight leaving Nairobi. In hindsight, I think I had a check in my spirit when I went to eat some sort of chilled white soup, and had I followed that instinct I would have saved myself a lot of trouble. Actually, I would've saved myself a lot of throwing up. EIGHT HOURS of it! I first got sick in the Amsterdam airport before boarding our flight to Detroit, and it continued the ENTIRE flight. I was pretty sure I was going to die; I was also pretty sure that if I did the flight attendants would not have noticed or cared. (One reason why I'd like the fabulous flight attendant from my trip to Kansas to accompany us on my our next flight to Kenya!) Initially I thought perhaps I was having a relapse of malaria, but fortunately for me there were some nurses and a doctor on the plane. The doctor reassured me that I would not be dying anytime soon (which really didn't seem like good news at the time) and suggested I drink Coke with salt in it which, suprisingly, helped. I was weakened to the point that I had to be pushed in a wheelchair through the Detroit airport as we went through customs and then boarded our final flight home. We were met at our hometown airport by a somber face informing us that Bob's dad was not doing well and not expected to live much longer. Three weeks earlier, on the morning of our flight to Kenya, Bob's dad had fallen and was taken to the ER. We stopped by to see him on our way to the airport and were relieved to find him in good spirits despite the worst black eye I had ever seen. Communication on that trip was sporadic, and we were shocked to receive an email informing us that Bob's dad had taken a turn for the worse. Bob felt his dad would want us to stay in Kenya, and since his sisters were back home with his parents, we did. We asked everyone we met in Kenya to be praying for his dad and checked for updates on him whenever we had a chance, which was not often. 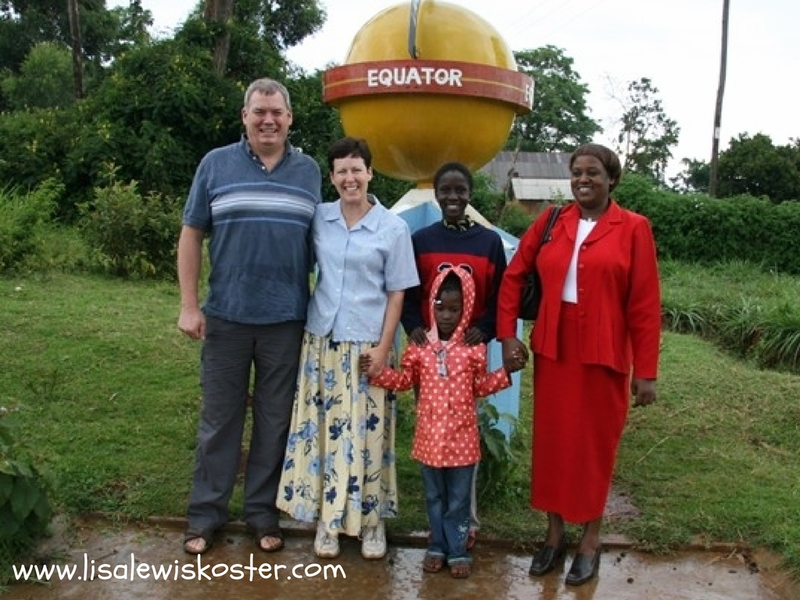 And I didn't mention the fact that we had to postpone our trip by 8 months because just before our originally scheduled departure in January 2008, all hell broke loose in Kenya. Their normally peaceful presidential elections turned violent after it was suspected (and later confirmed) that they were rigged. All over Kenya, roads were blocked and people were hacking each other to death with machettes. I saw pictures not seen on the news, and the image of the cart heaped with bodies strewn on like rag dolls will forever be seared in my mind. Because the violence was so widespread and the airport was closed, we made the decision to postpone the trip. The truth is, we have not been on a trip to Kenya without opposition. 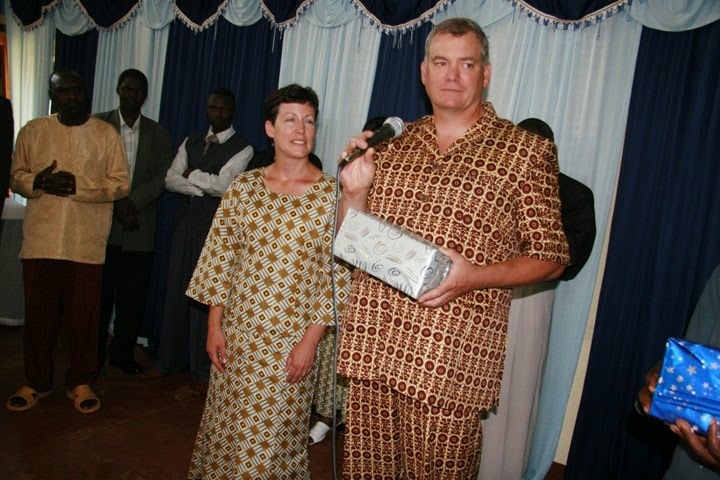 If we had not gone to Kenya we wouldn't have these "smart" outfits! On our fourth trip I experienced a Kenyan ER after passing out due to a bacterial lung infection. Because God keeps sending me. And why does He keep sending me? I believe it has something to do with the school. 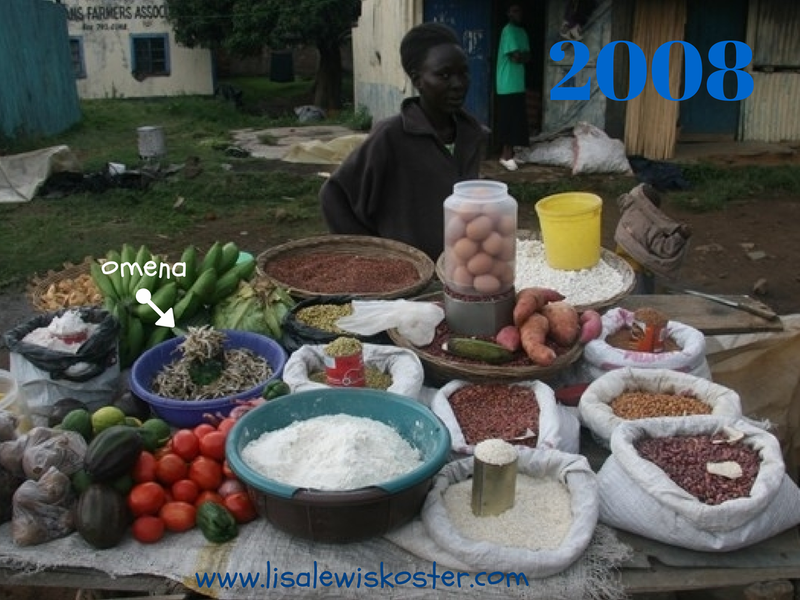 You see, if we hadn't gone on the first trip with people we knew, we never would have gone on the second trip; and if we hadn't gone on the second trip we never would have met Pastor Elisha, who invited us to his village for our third trip. Education is not free in Kenya, so while there is a school in the village, many of the children cannot afford to attend it. 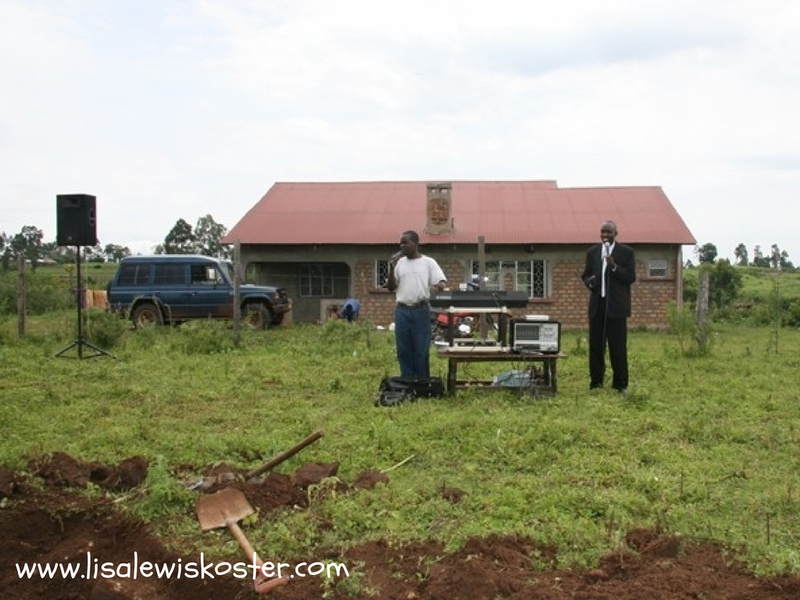 Pastor Elisha shared with us his dream of starting a school in his village for the children who could not afford public school, and on the final day of our third trip to Kenya (and the first to his village) he dedicated this land behind his home. And as he spoke at the dedication he kept saying "we." Afterwards I said to Bob, "I think "we" have a school." "We" didn't go looking for one. God just gave it to us. In 2010 "we" had a building with three classrooms. 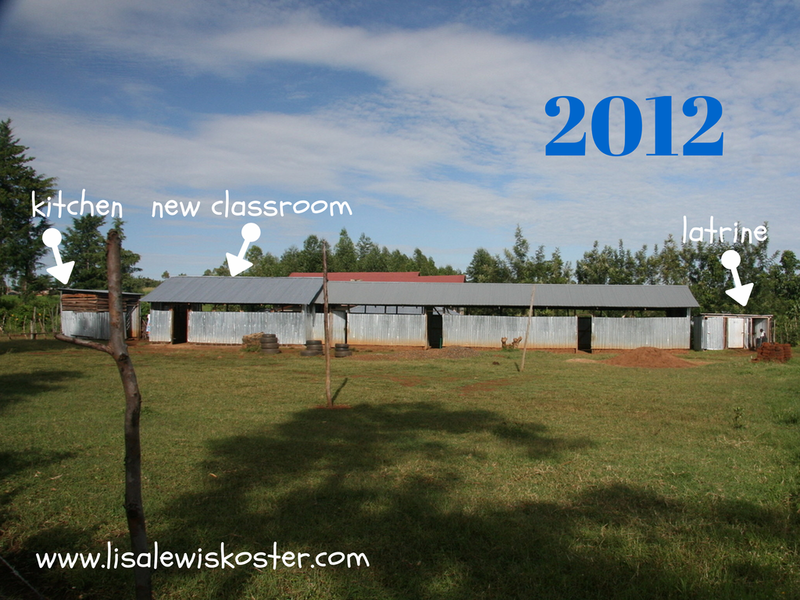 By 2012 "we" had added another classroom, a kitchen and latrines. 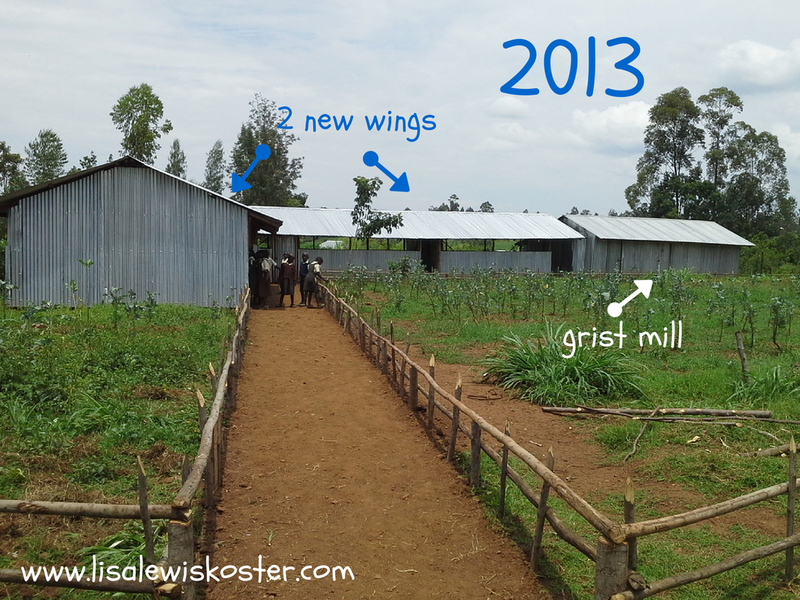 "We" also constructed a grist mill, and in 2013 "we" added two more classroom buildings. 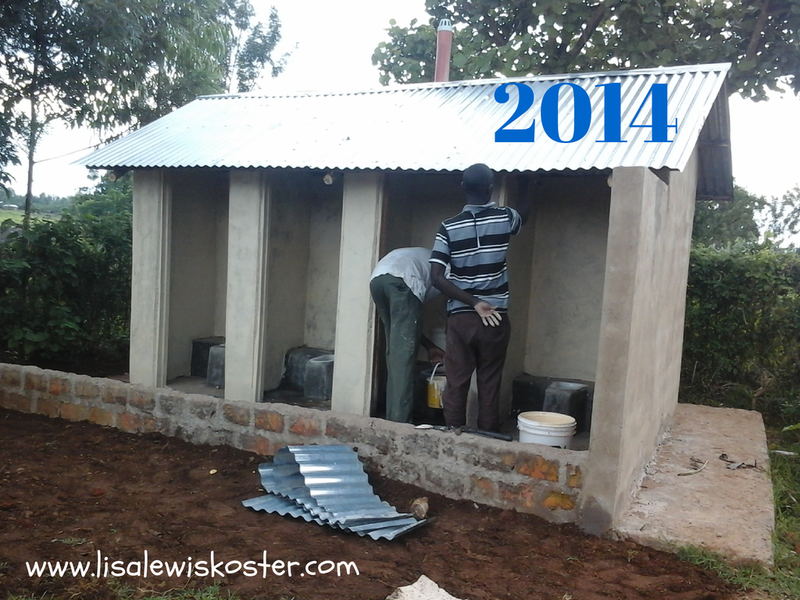 This same year Corinth Reformed Church gave a grant to build an 8 unit modern bathroom complete with septic system. And now, instead of the downcast looks we received in 2008, we see smiling faces. Children are receiving a hot meal every day and learning about Jesus. 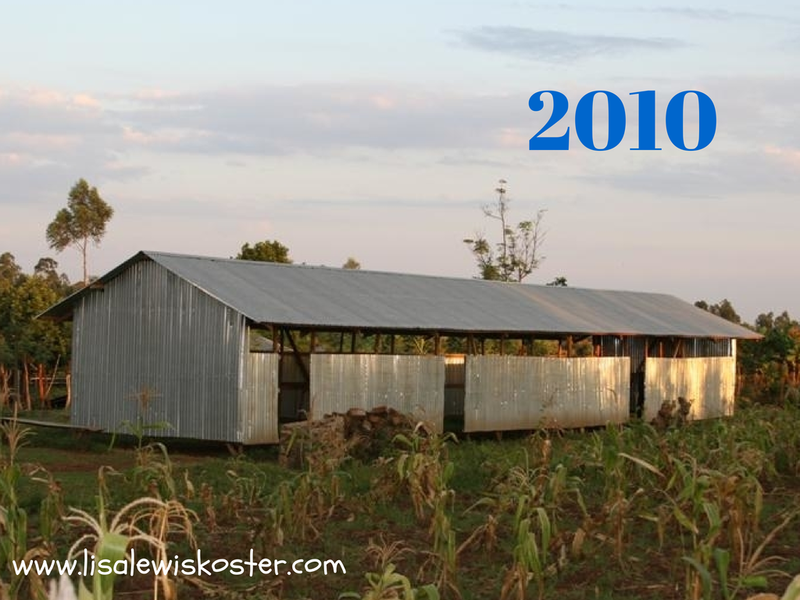 As we prepare to go on our 6th trip to Kenya in less than a month, would you be praying for our trip? And praying that I will be able to report that this was the trip where I was healthy before, during and after? Thanks, friends! If you'd like to hear more of our adventures in Kenya, just type "Kenya" into the "search this blog" box in the right column. Wow, you're a soldier for Christ! How amazing that you are walking so closely with Him that you can discern His voice above the din of opposition from the enemy. He is using you in amazing ways. Bless those little children. May they grow to be soldiers in Christ, too. Yes, and yes. Our hearts are not in Kenya, but in Haiti. We feel much the same about that place and though we are just beginning our time there with our second trip planned for February, we already feel as though they are ours, all of them. Excellent post! (By the way, our son is named Elisha.) Love. Lisa, There are no words. I can't imagine how awful it had to be feeling that ill while flying, and then to arrive home to the death of a parent. God bless you. May He continue to prosper your efforts in Kenya. God is moving through hall's trips and I will be praying for your coming trip! I went with a team to Kenya 9 years ago (fresh out of high school). Our trip was also met with opposition! Three days in our van was highjacked at gunpoint. a few high school aged kids and leaders… we could have gone home. But we felt called to stay and God used our time there in incredible ways! 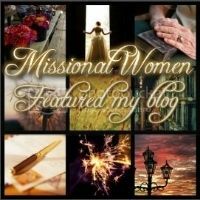 Can'y wait to hear how he uses your coming trip! Kudos - this looks impressive! Way to go! Some of what you described re: malaria and food poisoning [and water issues] fit right into when we were in Uganda or an airplane leaving that area, including Nairobi. WOW! My husband, when it came to water, always boiled and put it through the cleansing portion of a pitcher. Also, washing dishes: always with a bit of the bleach, [OH, for vegs and fruits, too], and then purely rinsed and covered over with clean towels, not just dried by someone who might put a towel portion that had the wrong cleansing. He was very careful and very good. So, even with the malaria, similar to what you described, we were worn out, but came out OK. I'd LOVE to go back to Africa, live in Uganda, BUT life has changed. We wouldn't have the money or the time any more. But, I'll see all of my dear ones when we're in heaven. That's all I can count on. You grabbed me again. Wow, the devil really does not want you to be doing your work!!!! 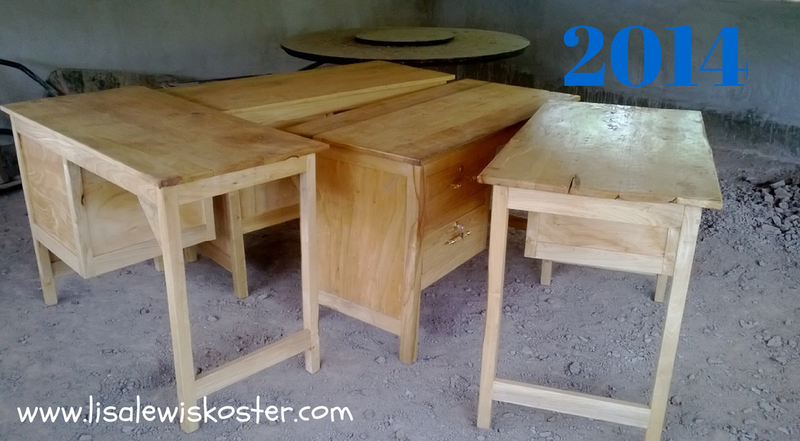 What an amazing gift of education for everyone! May God continue to bless you and your mission! Have a Happy 4th - I hopped over from Katherine's Corner. I am praying for health, peace, and continued renewal, both of you and the people in Kenya, that the Holy Spirit would be so present in your lives and words, that people can look at you know, KNOW that this is the power of Jesus at work.